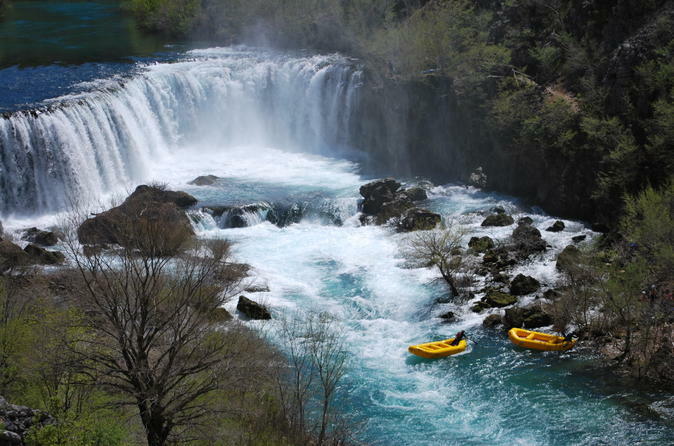 Go white water rafting on the Zrmanja River on this 5-hour eco-adventure from Zadar. With your experienced rafting guide, paddle down the moderate rapids (class III) of the Zrmanja and its tributary, the Krupa. Enjoy the pristine water, the spectacular canyons and waterfalls crashing over travertine rock faces. Stop in Muskovci Village for a rest and some refreshments at a nearby restaurant (own expense). No rafting experience is necessary; use of all equipment is included.